40 disabled youth. One coffee shop. Priceless job training. University students empower disabled youth to learn job skills by running a coffee shop. 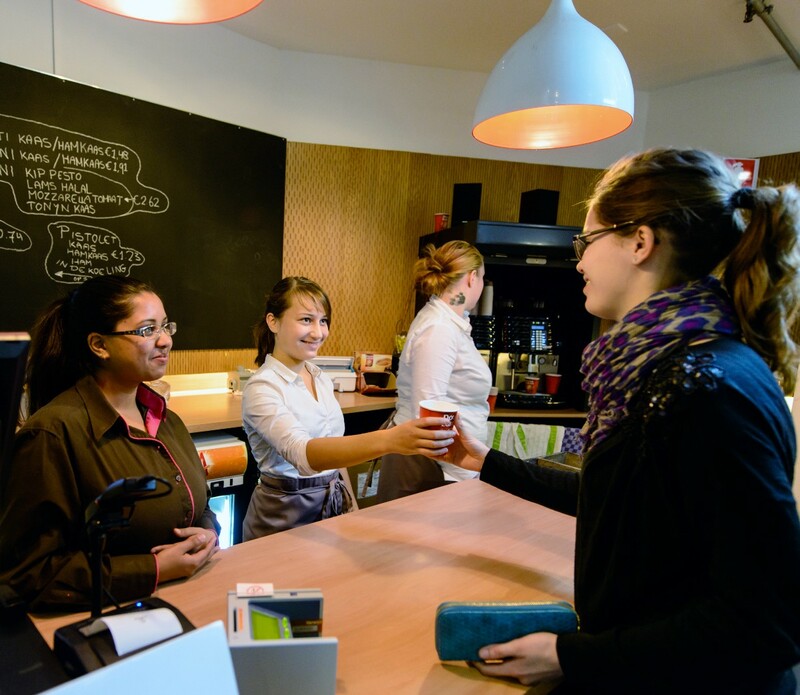 Students from University of Amsterdam in the Netherlands are helping young disabled individuals gain employment experience by running an on-campus coffee shop through a project called Coffee Career. The project helps people who qualify for a Wajong benefit, which is a government benefit for young people who are unfit to work. The Netherlands is home to 211,000 people who qualify due to mental or physical disabilities, mental health issues or learning disabilities. Participants go through food service training that is put on by an organization called Breaking Habits. Then, they gain valuable jobs skills by working at the coffee shop for three months. When they finish the program, the Enactus team helps them find employment or further job training. 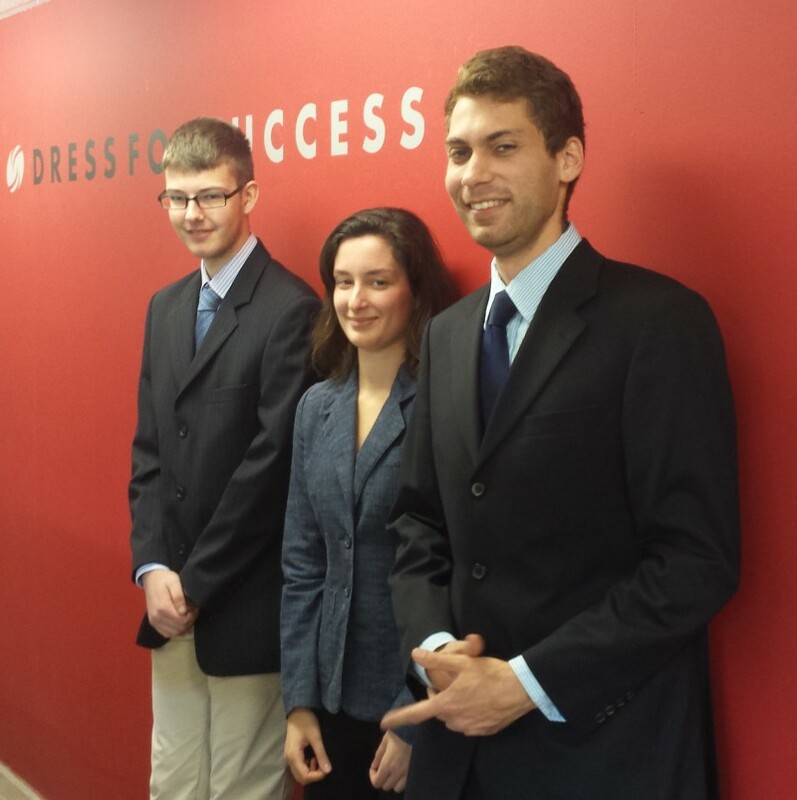 A program called Dress for Success helps participants obtain interview clothing to help them find success. Coffee Career has become a popular place for students to get coffee, and it has been successful in training people for jobs. So far, 40 people have gone through the program and 22 of them have moved on to the labor market. The University of Amsterdam Enactus team interviewed Garincha, one of the Coffee Career workers, about his experience with the project. Garincha (far right) gained valuable job skills working at Coffee Career. Q: How has your internship experience gone so far? A: In the beginning it was difficult. I wasn’t used to that kind of work. Working in food service was new to me. You encounter a lot of different people, and that is tricky. It can be difficult to work with students because I myself wanted to study. Q: Do you think that you’ve gained experience for your future and are you confident about those experiences? A: Yes, for sure! I’ve learned that not everything is difficult. In food service you have to work hard, of course, but the more you do the things it becomes like a routine to you. You can learn from Coffee Career. You learn how to handle clients and you can use this in your future profession. Working together is fun! Q: Did your internship at Coffee Career give you extra motivation? A: Yes! It showed me how to work, and it feels good to earn your own money. That gives you motivation! Q: How is it working at the coffee shop? A: It is small, but it was a good environment. It’s just a good place to build your experience. Q: What did you find about the people helping you? A: It was very good! Everything was explained clearly and Maike did her best to help me with everything. Q: What do you think about the concept? A: It’s a very good concept. You get a chance to do a self-examination and think about your future. It is good instead of being home all day and not doing anything. Q: Where does the company shine? A: You guys are very active, which is very good! You make people feel special by giving them a certificate and payment. It shows that you want us to do well. The whole project is good. The students that help are awesome!